We are a one meal for dinner family – as in, I cook ONE meal and you eat it, or you don’t. That being said, I do menu plan with the kiddos in mind, so I always make sure there is something I’m pretty sure they will eat. Which MOST of the time is successful, but you know, there’s always a chance they will “hate” everything that is for dinner. I let our 4-year-old help choose the meals, and I make sure to set aside some unseasoned food for the nights when he insists it’s “too spicy”, freaks out when a pea migrates into the same space as his chicken, or he just plain doesn’t like it ‘like that’. I hate cooking elaborate meals because, well, I’m kind of a terrible cook AND I don’t have the time, energy or desire to spend a substantial chunk of my day cooking – especially considering MOST of my day is consumed with feeding the kiddos in some way. Because my son is in afternoon preschool, we often get home around 4:15 and then it’s a whirlwind of cranky hangry kids. I’m exhausted, and need to feed them QUICKLY! We don’t own a microwave, so stove top cooking is the fastest thing for us. Our go-to meals are usually some form of protein, steamed veggies, fruit and carbohydrate. I always have fruit, yogurt and frozen veggies on hand in a pinch. I used to try to do big batches of veggies, but have yet to figure out the “right” amount to meal prep so that I don’t have science experiments growing mold throughout the refrigerator, so we moved back to daily cooking of smaller amounts, which seems like a pain, but it’s actually SO easy. 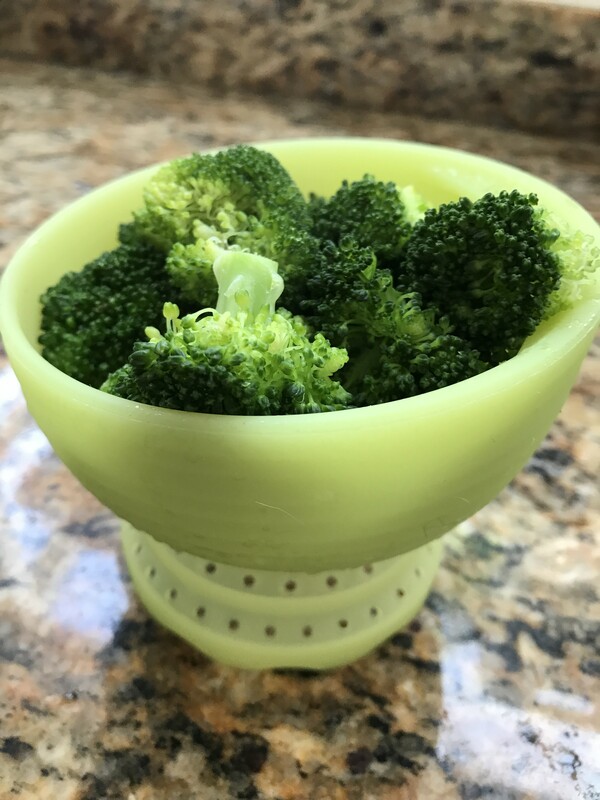 I recently fell in love with using the Olababy SteamBowl to steam veggies quickly for the kids. 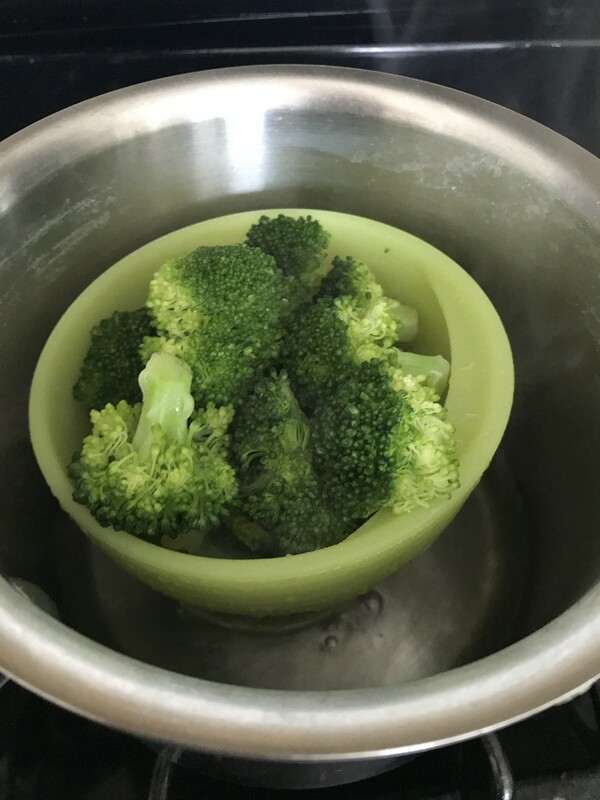 I can just toss in a handful or two of chopped veggies, stick it in a pot with a little bit of water, cover it and they steam perfectly in a couple of minutes. The best part is, because it’s this magical collapsible silicone, I can also serve them in the same bowl! I know right? It’s pretty awesome. Especially because if there’s anything I hate more than cooking all day…it’s doing dishes ALL day and still having a sink full of dishes to wash. I mean seriously, I don’t know how it happens, there is just so much dishwashing! 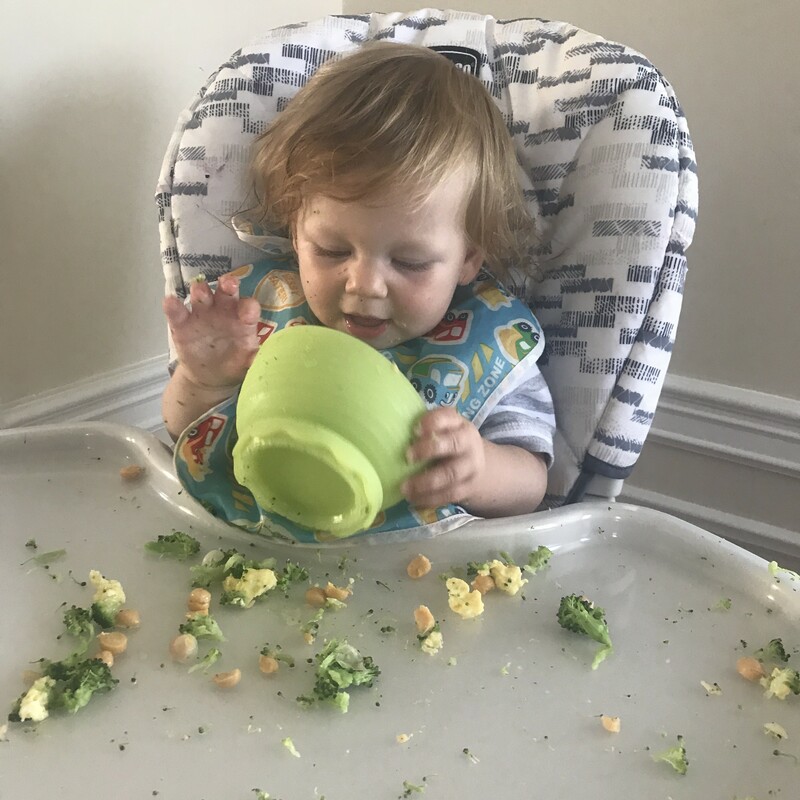 We even brought our Olababy Steambowl with us to NY on vacation, which made it super easy to steam veggies for the little one at meal time no matter where we went, and doubled as a kid-safe bowl. I don’t like a lot of stuff, but this one gets a thumbs up from me. It’s affordable and makes my life easier, and that makes it a win. 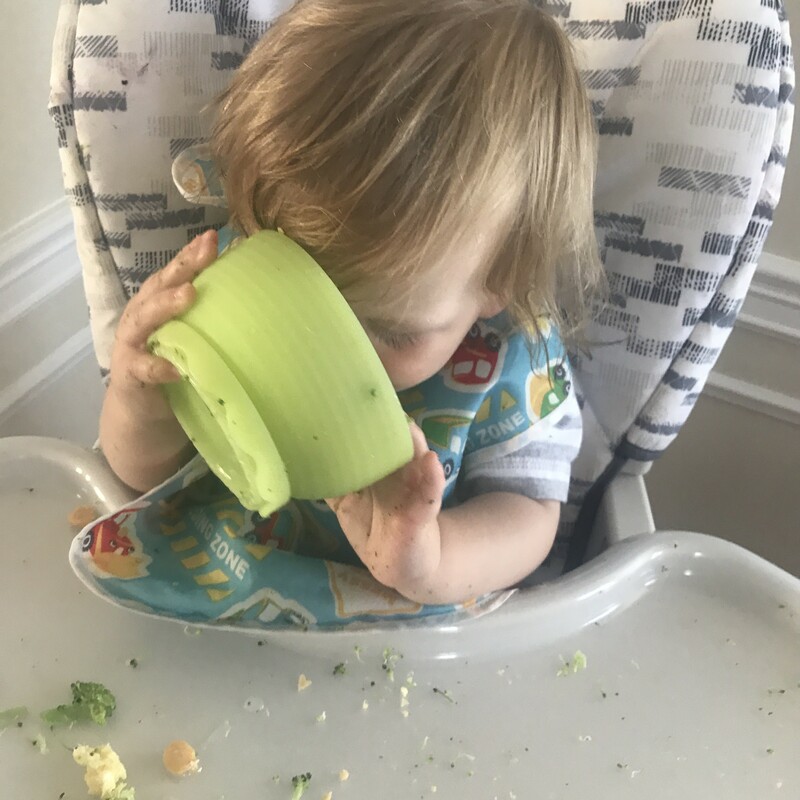 *I received an Olababy Steambowl for review. All thoughts and opinions are 100% my own.